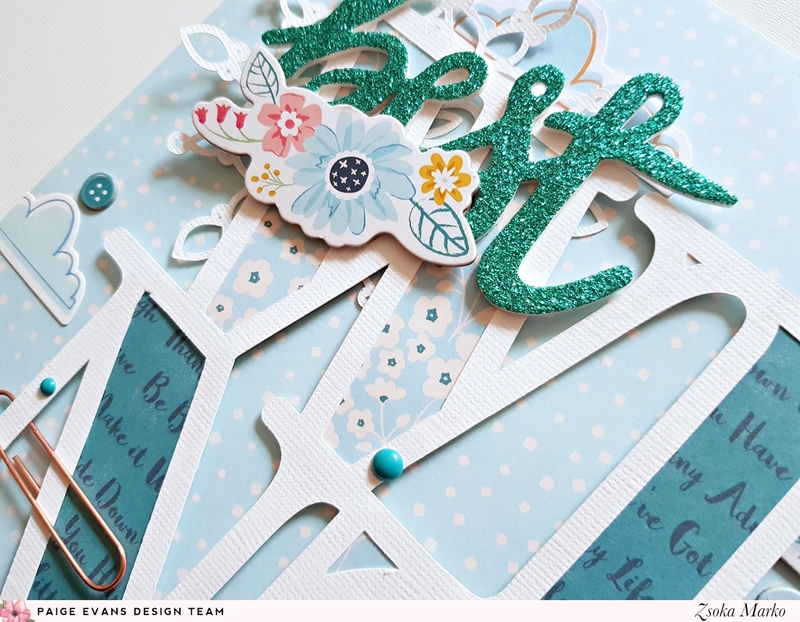 I'm back with a new layout for the Paige Evans Design Team! Today I'm using the wonderful Whimsical collection. I love Paige's collections because they are full of color and you can work with so many color combos! 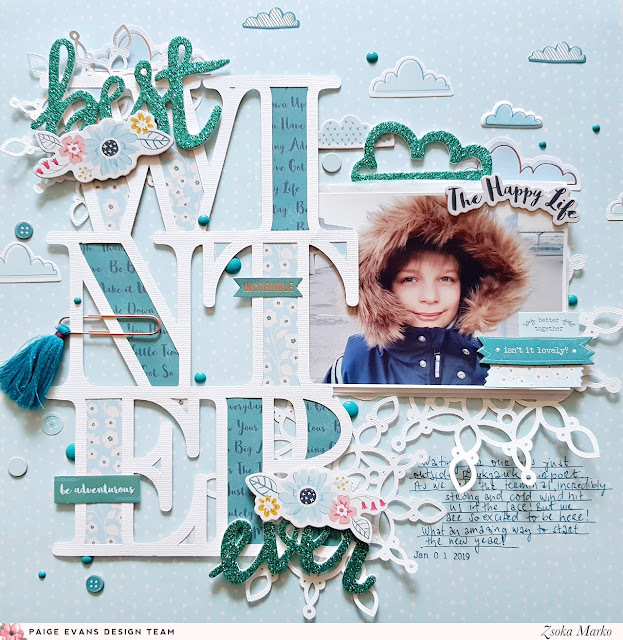 I decided to go with blues and teals because I seem to be doing more pink layouts lately! I cut the Winter (Design ID: 280675) cut file from textured white card stock. I then backed it with some light blue and teal patterned papers. I Also die cut some snowflakes in different sizes, for these I used the Snowflake cut file (Design ID: 230984). I layered some tissue paper and the biggest snowflake behind my photo and after roughly arranging everything, I glued it all down. I double checked where I want my big title to go and before adhering it to the background, I glued down the two snowflakes. I then added pop dots to the cut file and glued it down as well. 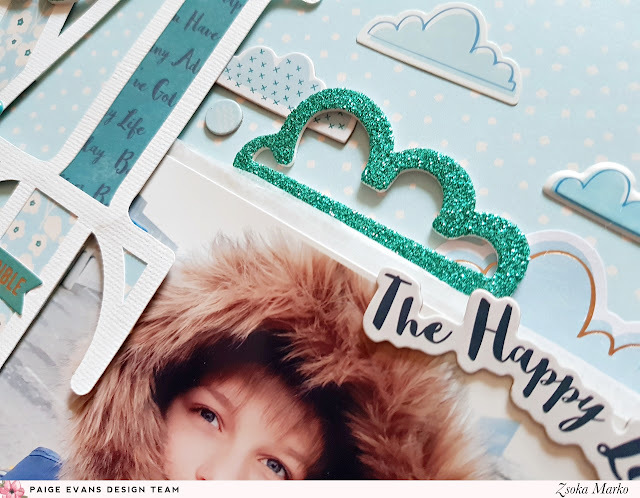 I pulled out all the clouds I could find in this collection, die cuts, puffy and card stock stickers. I scattered these around the top of my page. I added some stickers to my photo too. 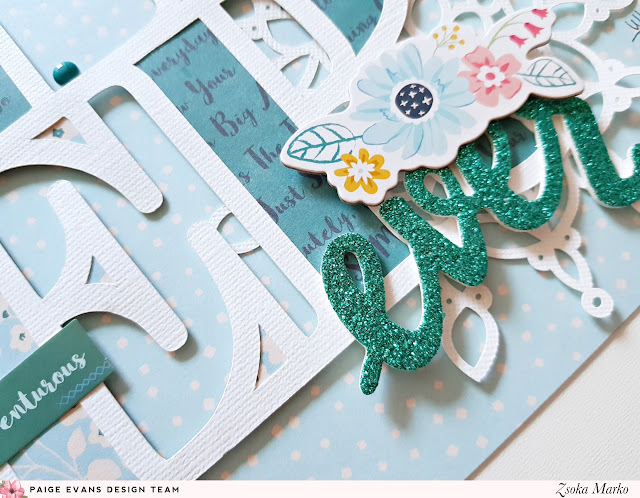 I tuck a cute tassel clip behind the letter N.
I wanted to add something to my big title and what I liked the most were these teal glitter words from Paige's first collection, Fancy Free. There was a cloud on the sticker sheet too so obviously I had to use that as well ha! To finish off my page I added some floral chipboard stickers, chipboard dots (I need more of these please!!! 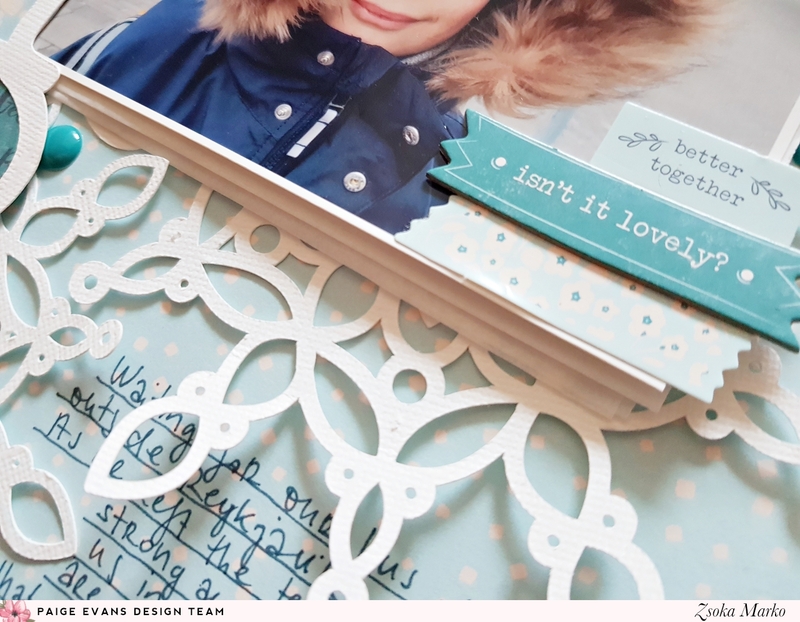 ), enamel dots, my journaling and date! I hope I could inspire you in some small way!